Why success isn't as important as thriving. What you need to know. What's the difference between being successful and thriving? 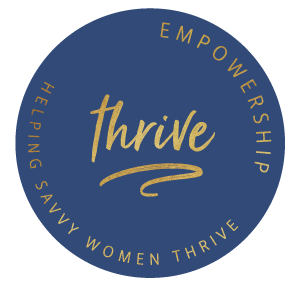 Chelsea and Cecilia weigh in based on their personal experience and what the THRIVE research has uncovered (some surprises for you). Learn the five core mindsets and behaviors that every thriving woman embodies. You'll also discover how to switch from a success mindset to a thriving mindset which will help you start feeling more fulfilled in your life and career. No matter where you are on your professional journey, this episode is for you if you feel burnt out or overwhelmed about the next steps in your job.